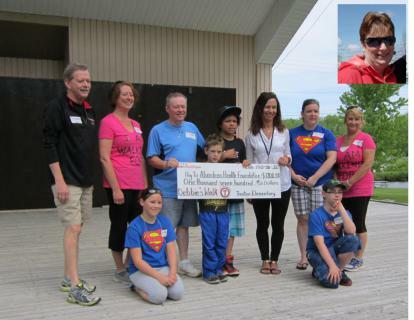 Earlier this month, students at Trenton Elementary School and Trenton Middle School participated in "Walk for Debbie, in honour of Debbie Campbell, an educational assistant from the school who passed away in January. The students collected money to donate to the Aberdeen Cancer Unit to assist cancer patients with traveling expenses to and from Halifax. Following the walk around the pond at Trenton Park, a cheque for $1,700 was presented to John Campbell, Debbie's husband, and Bonnie McCarron, Aberdeen Cancer Care Co-ordinator.